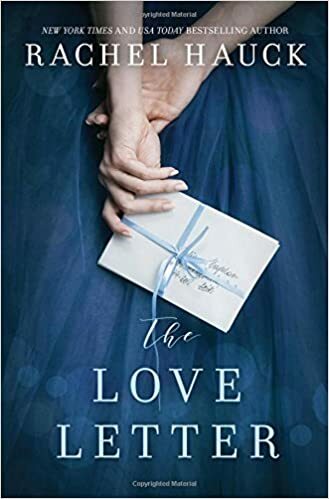 I’ll admit that I was a tad disappointed to find that The Love Letter is yet another book that switches back and forth between the past and present. The split-time format seems to be a very popular one these days and I have encountered quite a few of the books among my review novels. Nevertheless, who better than Rachel Hauck to take both stories and pull them together in a way that God’s hand is evident throughout – and she manages to throw in a holy surprise or two along the way. Even when it seems that a monkey wrench has been thrown in to mess everything up, the plans the Lord has in store are fulfilled. I enjoyed reading this story of Chloe Daschle, and actress and Jesse Gates, the scriptwriter for the film i which Chloe is to star. With the screenplay loosely based on a letter written by one of Jesse’s ancestors, the story switches back and forth between Chloe and Jesse’s experiences to the story of Hamilton Lightfoot and Esther Longfellow during the American Revolution. Each story could easily stand on its own but the author has woven them together into a romantic tale that reaches across history. Lovers of historical fiction should love this book for the personal look at life during the Revolutionary War and any fan of Rachel Hauck will definitely appreciate her unique approach to writing that has endeared her to me for a number of years and books. I voluntarily reviewed copies of this book provided by Amazon Vine and the author. A favorable review was not required. All views expressed are my own. This book was unexpectedly awesome. Everyone’s tastes are different, but I thoroughly enjoyed the writing style, the subject, the dual stories intermixed, and the addition of a journey of faith. I haven’t read anything that was based during the revolutionary war time period. Of course school history lessons go over the facts of the war, but you don’t consider the thoughts of the people during that time. The idea of neighbors and brothers having such opposite views on such a monumental conflict is intriguing. I also enjoyed the look into the Hollywood life. I loved that this was a modern romance/ historical romance/ journey of faith and forgiveness. This was not a cookie cutter, you-can-see-the-twists-and-turns-coming book for me. Rachel Hauck at her best. The Love Letter is one not to be missed. I love how she weaves characters from other novels into her current ones. This is such a beautiful story, combining past and present. Chloe is one of my favorite characters from a book in a long time. I appreciate that she’s not the typical skinny girl. This is an all around perfect read that I didn’t want to end. I wanted to read more of Rachel Hauck after enjoying ‘The Writing Desk’. The writing style made it an easy read but not a “can’t put it down” kind of book.It was the kind of book enjoyed at work on lunch breaks as a way of escaping work for 30 minutes.Not too much to tell re the story that the synopsis doesn’t cover. Chloe isn’t having much luck at love or career so decides to try something new in her career & tension ensues with Jesse, who is also at a crossroads. The journey begins.Funny, you never know when your life is about to change. The characters were believable and had a feel of people you know and are rooting for to have a happy ending. If you like Hauck’s style or are looking for clean, light, romantic reading, this is a nice escape.